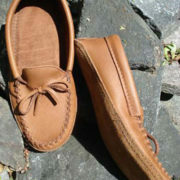 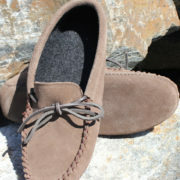 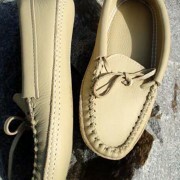 The Wolf Den is proud to offer an authentic collection of handmade moccasins for men delivered world-wide. 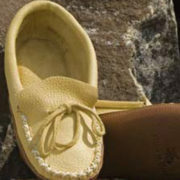 All of our Native men’s mukluks and moccasins are made in Canada using the best quality in material. 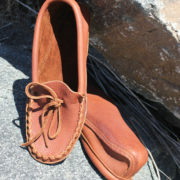 Whether you are looking for brown or black moccasins in your favourite material like leather or suede, deerskin, moosehide, elkhide or sheepskin, we’re confident we have it. 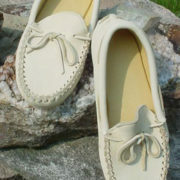 But if we don’t, we can also arrange for special orders, just email us the details. 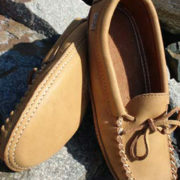 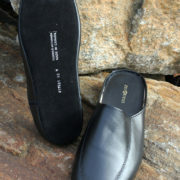 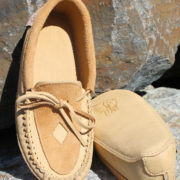 Remember, our prices are listed in Canadian dollars, giving you the best value on the web for men’s moccasins.